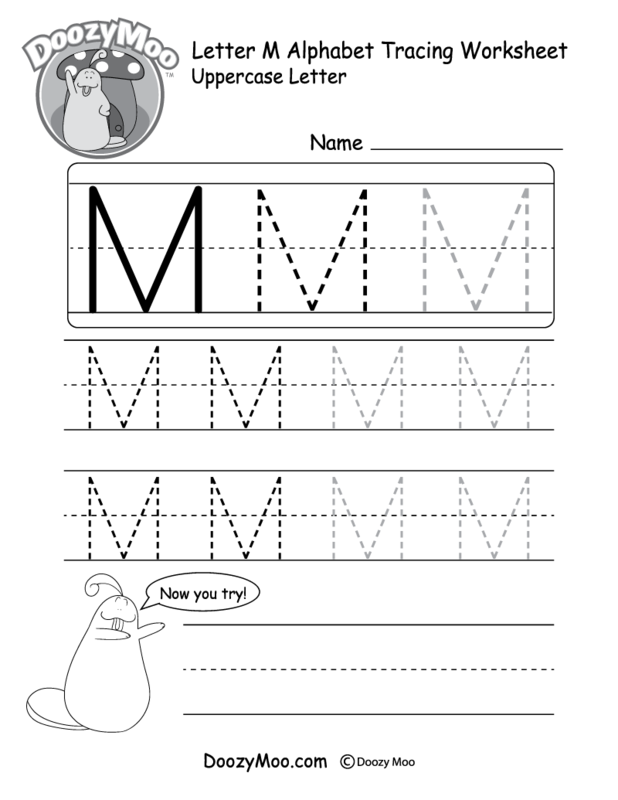 Kids can trace the small letter “m” in different sizes in this free printable. There is also a section where kids can practice writing letters on their own. Repetition is an important learning technique which makes printable worksheets such a valuable teaching tool. You can print this free alphabet tracing worksheet numerous times until children become confident in writing the lowercase letter “m”. Preschool and kindergarten teachers might also be interested in our uppercase letter M tracing worksheet, Doozy Moo’s free alphabet book, and his alphabet song. 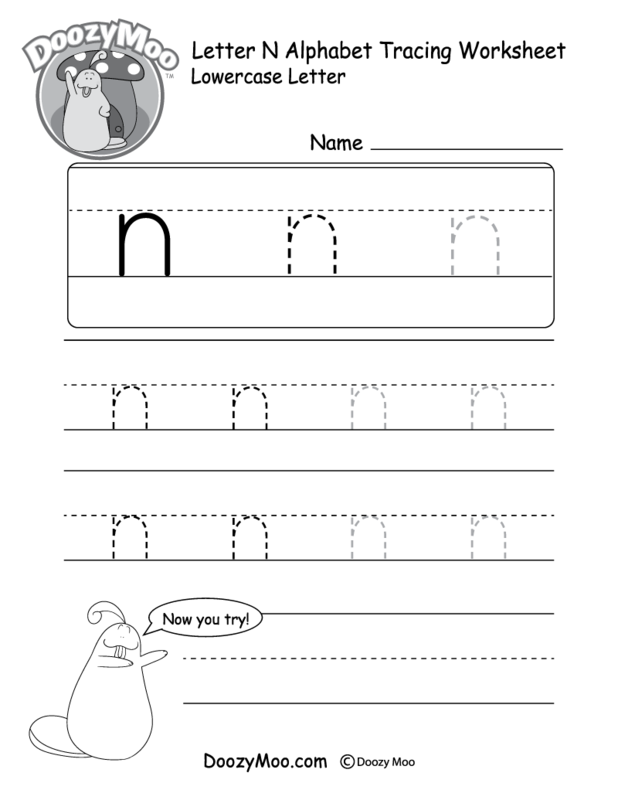 Did you know that you can download and print multiple alphabet worksheets at once? 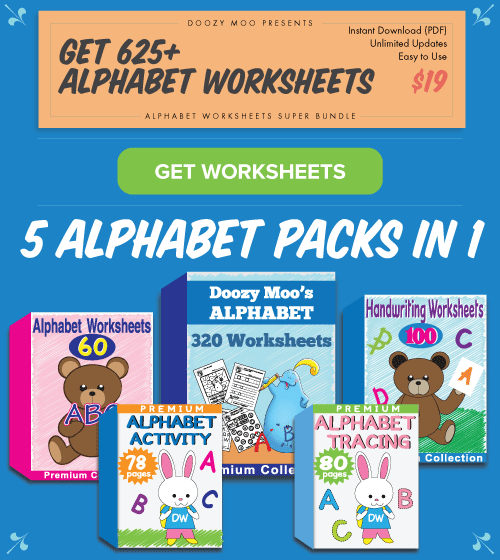 Get our Alphabet Worksheets Super Bundle!